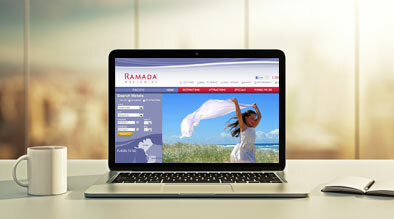 Ramada Pacific today introduced a new website to save travel planners time and money. 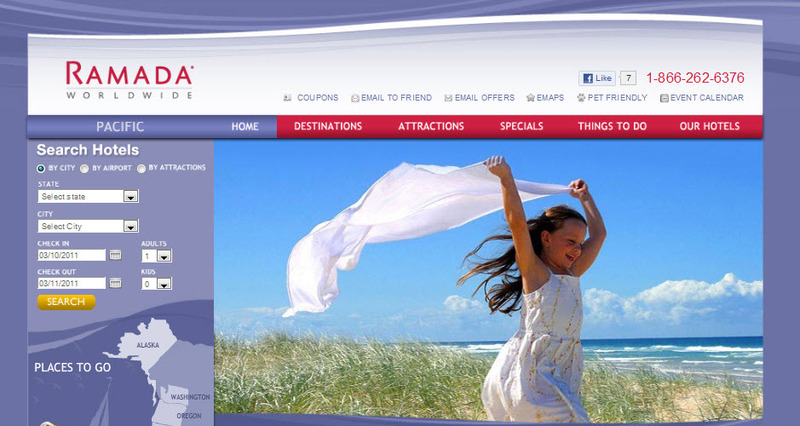 The new Ramada Pacific website, www.ramadapacific.com, offers a one-stop-shop approach to planning a West Coast vacation. The website features nearly 100 West Coast hotels in six states: Alaska, Arizona, California, Hawaii, Oregon and Washington. Leisure and business travelers can now make hotel reservations, book vacation packages and find the best rates available online at any of the Ramada Pacific hotels directly through the new comprehensive website. The new Ramada Pacific website also allows travel planners to search for hotels in Alaska, Arizona, California, Hawaii, Oregon and Washington by city, airport or attractions. The website is further regionalized by state and includes destination overviews and travel information on things to do and major attractions such as Disneyland Resort, Yosemite, Waikiki Beach, Grand Canyon and Puget Sound. Ramada Pacific’s nearly 100 hotels are located in such West Coast cities as Honolulu, Los Angeles, San Diego, San Francisco, Phoenix, Portland, Seattle and Anchorage. Ramada Pacific hotels offer comfortable accommodations with amenities like high-speed Internet access and free breakfast at most locations. Many Ramada Pacific hotels near airports and downtown city centers offer meeting and event space. For more information on Ramada Pacific hotels, or to make hotel reservations, please visit www.ramadapacific.com.